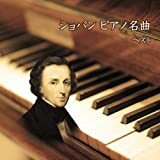 This 17CD set is the third Chopin Edition by Brilliant Classics, an all‐time favourite of one of the most popular and universally loved composers of all times. The piano works of the Polish master touch the heart chords of every listener and music lover around the world, they speak the universal language of beauty, melancholy, tenderness and passion. This third Edition is also the best: it contains no less than 7 new recordings and several new licensed recordings. New recordings are: Etudes (Alessandro Deljavan, one of the most extraordinary performances ever recorded), Waltzes (Alessandro Deljavan), Piano Sonatas 2 & 3, Preludes, Ballades, Impromptus (Wolfram Schmitt‐Leonardy, wonderfully idiomatic, “Fanciful, illuminating, stimulating and compelling” Classics today), Mazurkas (Rem Urasin). The piano concertos are played by Ewa Kupiec, the other works for piano and orchestra by Abbey Simon. The Nocturnes are played by Earl Wild (“silvery, deeply felt”), the Scherzi by Ivan Moravec, one of the best Chopin recordings by the Czech master.